Are you ready to move to change? 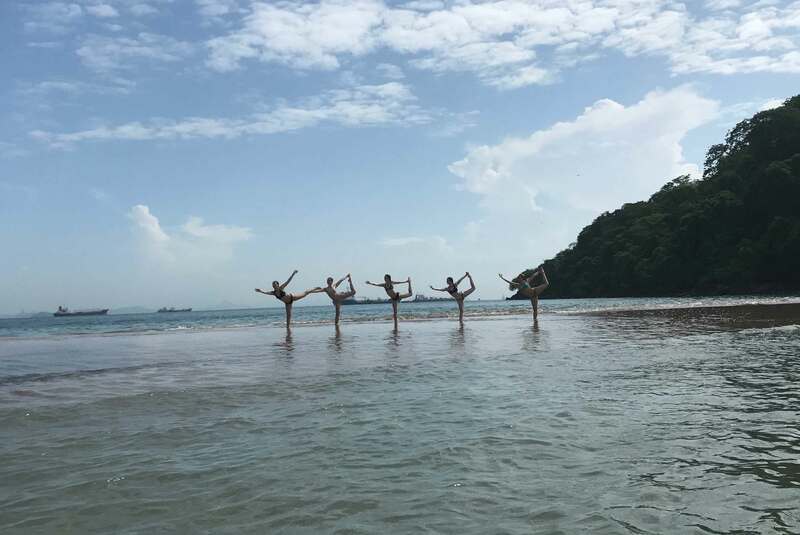 Join an international dance exchange to Panama for 8-days of teaching dance, learning from local dance professionals, forming connections, exploring history and culture, and uniting dance and service. Why Join an International Dance Exchange? If there’s one word to describe an international dance exchange, it’s inspirational. During this exchange, you’ll discover the power that dance has as a universal language. 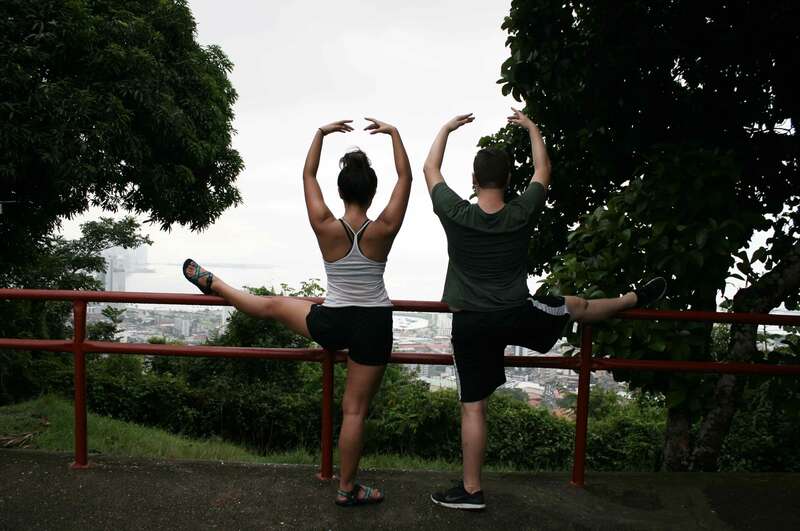 You’ll have the opportunity to connect with dance professionals and peers in Panama and form friendships through movement. So if you’re ready to move to change, this experience is what you’ve been waiting for. First, apply to join. You’ll receive an email with a registration form and more information about your deposit, flights, and travel information. For more information on Panama and how to prepare for your exchange, view the following resources. If you would like to organize your own group exchange with dancers from your studio, high school, or university, contact us at info@movementexchanges.org. A $500 non-refundable and non-transferrable deposit will be due at least 3 months before the exchange. The remainder of your program donation will be due at least 1 month before the exchange. 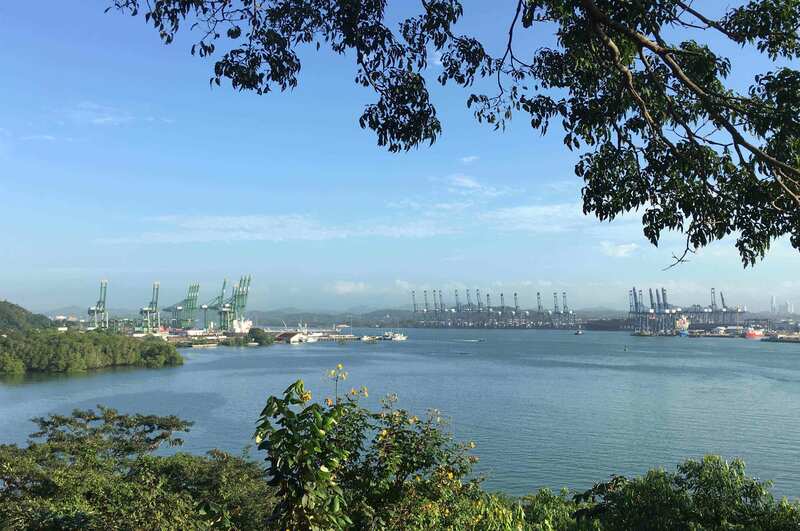 Afternoon: Welcome to Panama, an isthmus connecting the Atlantic and Pacific Oceans! Following your airport pick-up, we’ll review the itinerary for the week and get settled into our accommodations in Casco Viejo, the historic neighborhood of Panama City. Evening: Time to celebrate your group’s arrival with a welcome dinner in Casco Viejo surrounded by brightly colored colonial Spanish and French architecture. Morning: We start off our day with a hike up Cerro Ancon, a small inner-city rainforest with a breathtaking view of Panama City. 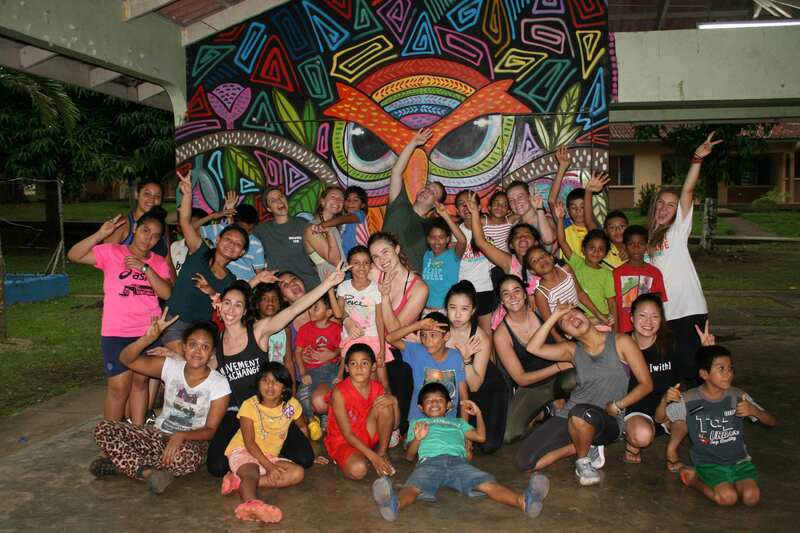 After the hike, is a dance class taught by the dance majors at the University of Panama. We’ll be able to meet faculty and hear more about their department. Afternoon: Across the scenic Bridge of the Americas is the Malambo Orphanage in the town of Arraijan. Malambo is home to over 100 children, the majority of which are girls. You may not speak Spanish, but you speak the language of dance. We will break into 2 groups and teach class to the girls for the rest of the afternoon. Evening: We’ll head back to Casco Viejo for reflections and dinner on your own. Be sure to ask the Movement Exchange team for any suggestions! Morning: Today begins with class in one of the following techniques: contemporary, breakdance, or dancehall. All classes will be taught by local dance professionals. Afternoon: We are back at Malambo Orphanage for our second day of teaching. By now, you should feel more comfortable teaching and developing relationships with them, so delve deeper into your class material. We will also get a tour of the orphanage to better understand how it is organized. Children are placed in each house on the property based on their age and any special needs. This afternoon we are able to spend some time with the newborns, toddlers and “tias” who look after the houses. Evening: We return to our lodging right after the classes to do reflections. Dinner on your own tonight will allow you to explore the city’s scene. Be sure to explore the city’s many outdoor plazas! Afternoon: After lunch, we’ll be dropped off at the Aldea SOS Orphanage in Panama City. The Aldea SOS Orphanage houses over 60 boys and girls and is a similar house system to the Malambo Orphanage. Today, we’ll be teaching classes outside to children ages 6-18. Have some fun and teach them choreography they can continue practicing even after the exchange! Evening: Following reflections, dinner is on your own again tonight. Be sure to visit the fish market to try the freshest ceviche in Panama. The city comes to life at night on the Cinta Costera, where locals run, rollerblade, dance, and romance. Morning: This morning we’ll head back to the University of Panama. This time you’ll be teaching class to the dance majors, so be sure to share your expertise! Afternoon: After class, we’ll head to one of the many markets in Panama City. Look for the traditional reverse applique craft-work called “molas” to bring home. 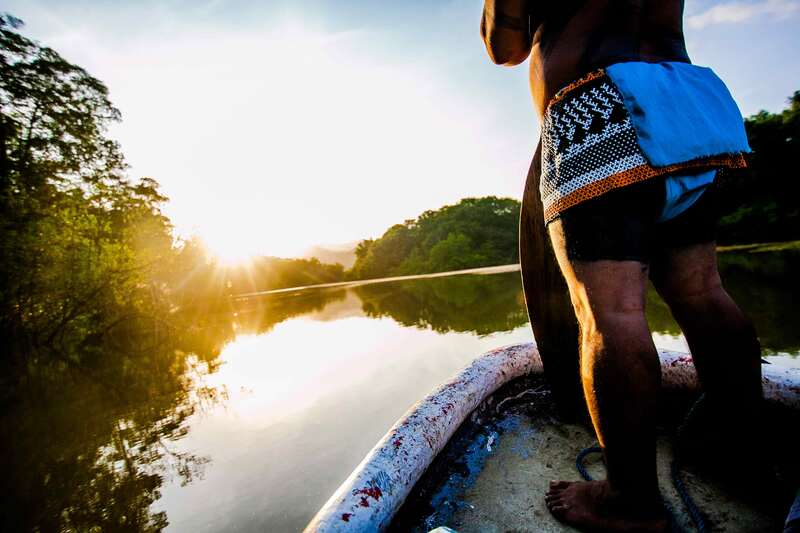 They are made by the indigenous group called the Kunas and they are absolutely breathtaking! After lunch, we’ll find our way back to the Aldea SOS Orphanage in Panama City for our second day seeing the kids. Evening: We’ll head back to Casco for reflections and dinner. Take a seat in a plaza and enjoy the warm tropical breeze. 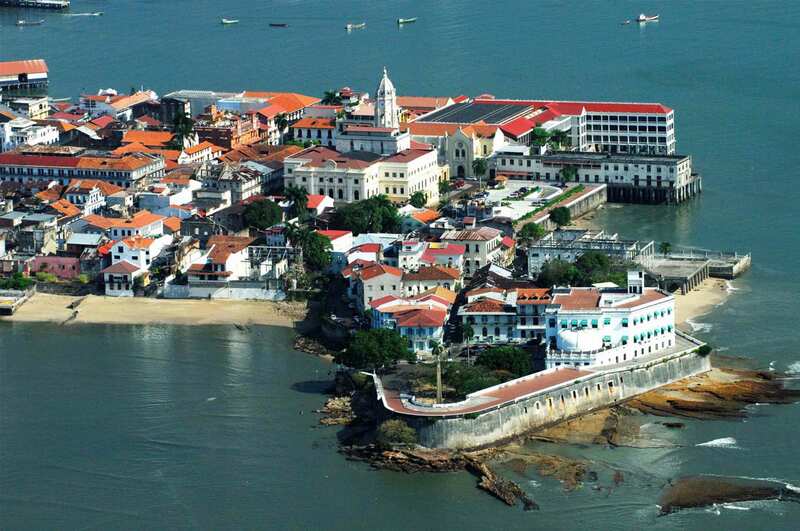 Morning: Take this morning as well-deserved free time to explore Casco Viejo. Visit the local market for souvenirs or enjoy the tropical fruit! Afternoon: We’ll be picked up for our last day of teaching at the Aldea SOS orphanage. Today is the day the kids get to perform all that they have learned. The staff at the orphanage comes out to cheer them on, and the kids are so excited to have a chance to shine. Evening: After some heartfelt goodbyes at Aldea, we will spend the evening sampling local cuisine! Be sure to satisfy those last ceviche cravings! Morning: Grab your bathing suit, towel, and plenty of sunblock because we head to the beach today. This is a well-deserved break after a week full of dancing, teaching, and learning! Afternoon: Beach day continues! Be sure to reapply your sunblock and stay hydrated. Sample the local delicacies of fish, fried plantains, and tropical fruit juices. Evening: After lots of sun and sand, we will have our final group dinner and reflections. We will celebrate a jam-packed week of dance and service with a night out dancing, Panamanian style. Time to put those new skills to use! Morning: Our final group breakfast will precede a morning stroll for last minute souvenir shopping. It’s time to say our last “hasta luego” to all our new friends in Panama and head to the airport. Panama and Movement Exchange thank you for your passion, energy, and dedication! 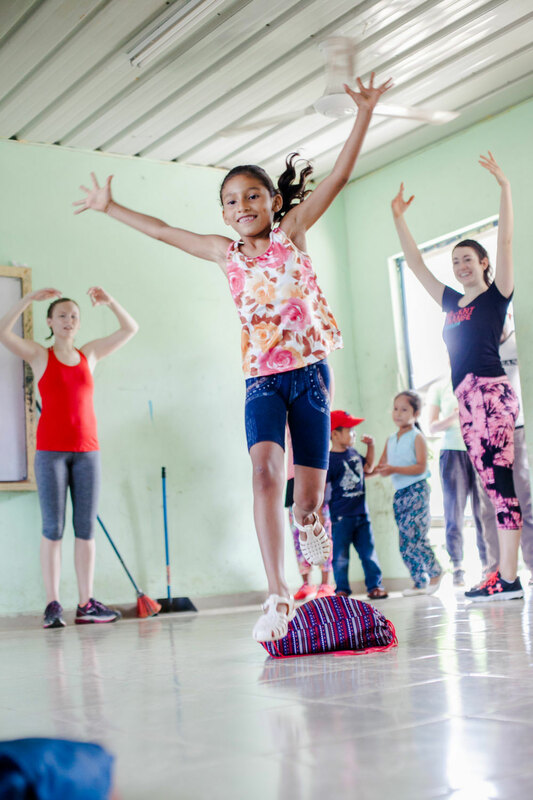 A portion of your program donation contributes to the sustainability of year-round, locally staffed dance education at our partner orphanages and foundations in Panama. How many dance diplomats attend each exchange? We usually host between 10-20 dancers on each international dance exchange. Do I have to speak Spanish to attend the international dance exchange? There are no foreign language requirements to attend an international dance exchange. You will have a 24/7 guide who speaks both English and the language of the host country. What level of dance experience is required? The only requirement for attending an international dance exchange is a passion for dance and a desire to spread the joy of movement. Volunteers of all dance backgrounds are welcome to participate in an international dance exchange and are invited to teach their speciality. In addition to teaching, volunteers will be exposed to various styles including folkloric, aerial, salsa, and contemporary. Is any teaching experience required to attend the exchange? Teaching experience is not required before attending an international dance exchange. 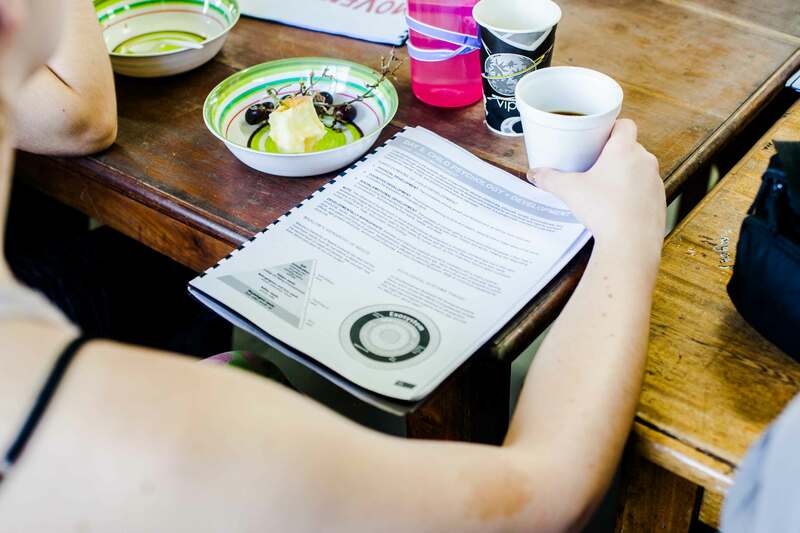 During our discussions, we will be reviewing teaching methods and curriculum planning to provide you with the resources you need to be a successful dance educator. Do I have to be a university student to attend an exchange? No! Anyone over the age of 15 is able to join! High school students, university students, graduate students, dance educators, and professional dancers have attended exchanges in the past. No matter your dance background, you are invited to join the exchange. Who will you teach during the international dance exchange? You will be teaching youth ages 4 to 18 years old in a variety of orphanages, youth foundations, and arts foundations with about 20-40 students at each organization. Many of the youth we work with are HIV positive, disabled, come from abusive homes and/or have little or no family. What will you teach during the international dance exchagne? This depends on your background and interests. The youth are receptive to almost anything, provided you make it fun. Past classes have included ballet, jazz, chinese ribbon dance, belly dancing, modern, and capoeira. When I leave, will the youth I taught have continued dance education? Yes! 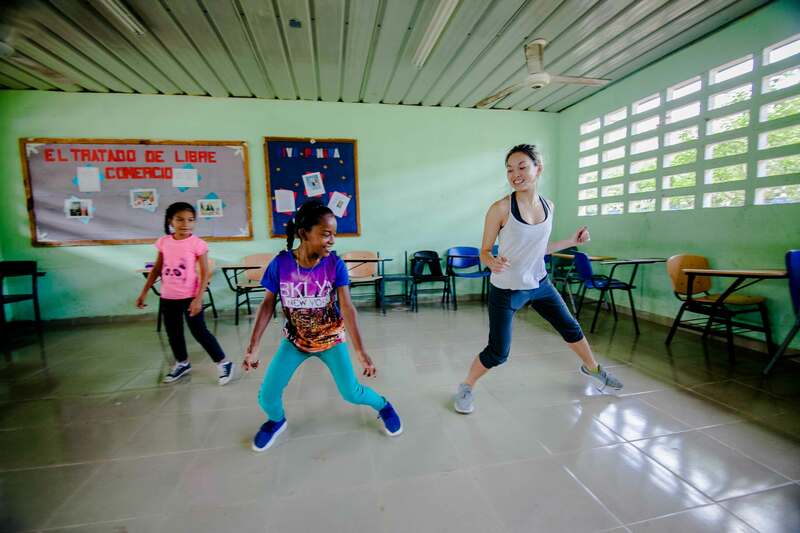 Thanks to your program donation, we have started three dance education programs at two orphanages and one youth foundations and employ local dance instructors to teach these weekly dance classes. Movement Exchange is committed to creating a sustainable impact and ensuring our students receive year-round dance education. Can I organize an exchange with my studio, company, or friends? Absolutely! Visit this page for more information on organizing a group international dance exchange. You’ll need a group of at least 10 people and you can pick any 8-days throughout the year. Email us at info@movementexchanges.org and we would be happy to tell you more about this process. Where can I find more information about Panama and how to prepare? 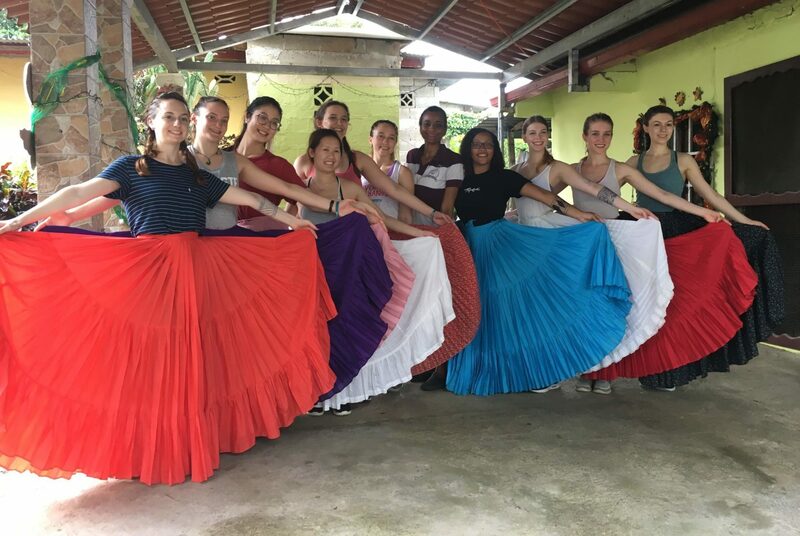 In our participant resources, you can find information about Panama, safety, and how to prepare for the international dance exchange. ”Anytime you put a group of generous, talented people together who have the desire to give and grow something magical happens. And, that magic can’t truly be translated unless one experiences it for themselves. It’s a beautiful thing and I’m so fortunate to have been a part of an adventure that has, hands down, been one of the best experiences of my life.